And our exploration in Korea recommences after a brief break. Today we headed out of Songdo to proceed to Gyeongju, the ancient capital of the Silla Dynasty. Gyeongju is located along the south eastern coast of the Korean peninsula in the North Gyeongsang province. We took a high speed express train called KTX (Korea Train eXpress) from Incheon Airport which brought us to Singyeongju Station in about three and a quarter hours. 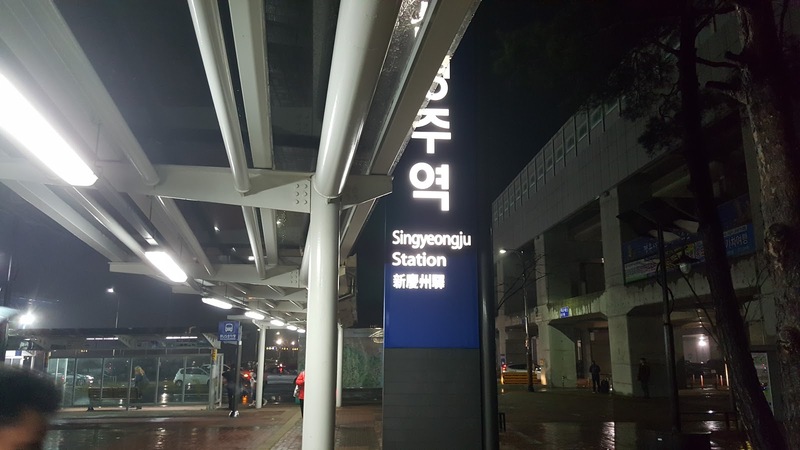 The journey itself was quite pleasant - a smooth ride that took us through Geomam, Seoul, Gwangmyeong, Daejeon and Dong Daegu. 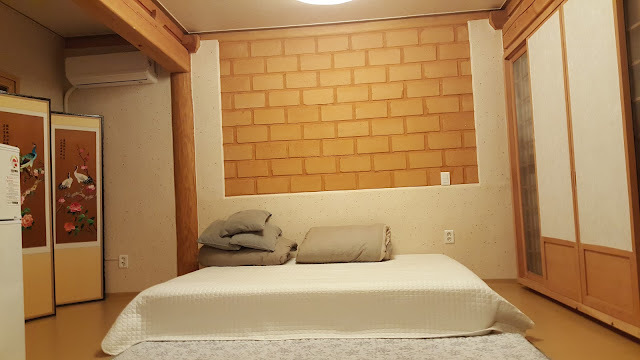 And we checked into our Korean homestay - a hanok (traditional Korean home) with ondol or floor heating system, to keep our room warm and cosy. And time to steal a few winks before we set out to explore Gyeongju tomorrow morning!